The following is a guest post from Jennifer Bailey. Jennifer is a full-time high-school math teacher, wife, and mom. Her kids are six, 20 (two), and 21. Her blog is about her journey to balance finances, wellness, life-work, relationships, and following dreams. She chronicles her evolution into a “life enthusiast,” someone who makes the most of each day and enjoys all the little hiccups along the way! She can follow her blog at https://lifeonwellwoodlane.wordpress.com. Does a typical day involve some amount of begging, screaming, yelling, crying, meltdowns, stomping, etc. describe your child’s behavior, or worse, your own? Is your typical day a marathon of precision-timed activities, appointments, play-dates, and projects leaving everyone overworked, exhausted, and on the edge of burn out? Is everyone plugged in, tuned out, disconnected from humanity, and wondering if happiness and fulfillment is just a fairytale? If so, you are not alone. So, what are the top parenting issues I struggle with? What are the top problems plaguing my students and their families? Sadly, it is the same whether I wear my mom hat or my teacher hat. After personal reflection, chatting with friends who are parents and other teachers, I’ve come up with a list of the nine most common issues faced by parents and teachers alike. 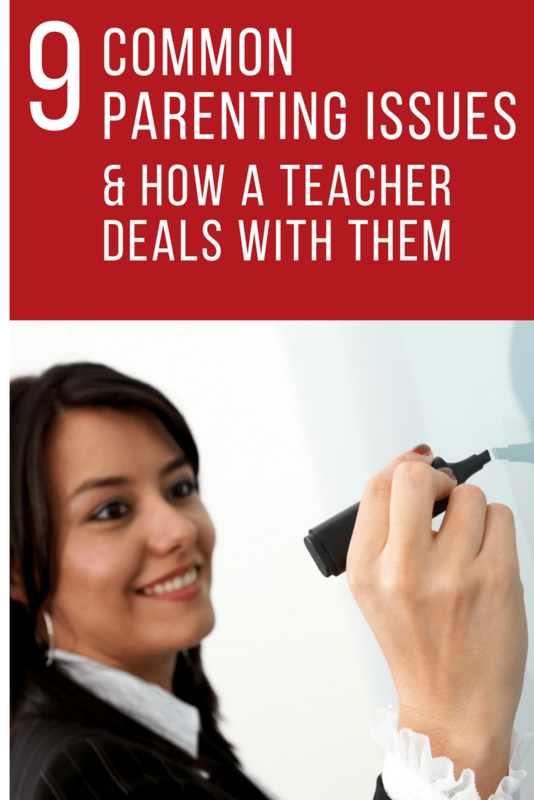 In addition to learning I’m not alone, the best part of these conversations was a chance to learn about and attempt to tackle these common parenting issues through a teacher’s mindset. Ready to come along and solve some problems? Let’s go! This one is the biggest and most difficult! At some point, all kids expect and even demand much from others yet not always enough from themselves. This can lead to academic and behavioral problems and overall family stress. Teaching delayed gratification, humility, and acts of service all benefit our kids as they grow into adults and combat a sense of entitlement. We can get our children involved in community service (age appropriate). We can teach them the difference between being proud and being boastful. We can teach them to earn certain privileges and material items. As a working mom sometimes it is nice to have things run on a schedule and carving out family time can be daunting. Kids need interaction with their parents! The more involved you can be, the better the teenage years are and the better school behavior. It doesn’t have to be fancy or over the top. Just find ways to “hang out’ with your child. They will be so overjoyed! Talk to kids and try to uncover the WHY behind the behavior. The best thing we can do for our kids is to be extremely clear about what is expected and make sure expectations are reasonable. Expecting all A’s, willing all his/her games or coming in first in activities is not reasonable. Expecting others to overlook inappropriate behavior or not earning poor grades for poorly done work is not reasonable. Balance expectations with reasonableness. We want to mold, not crush self-esteem. Don’t make it too easy. Productive struggle IS good for kids! Every child needs to learn how to set and monitor goals as well as the art of organizing themselves. 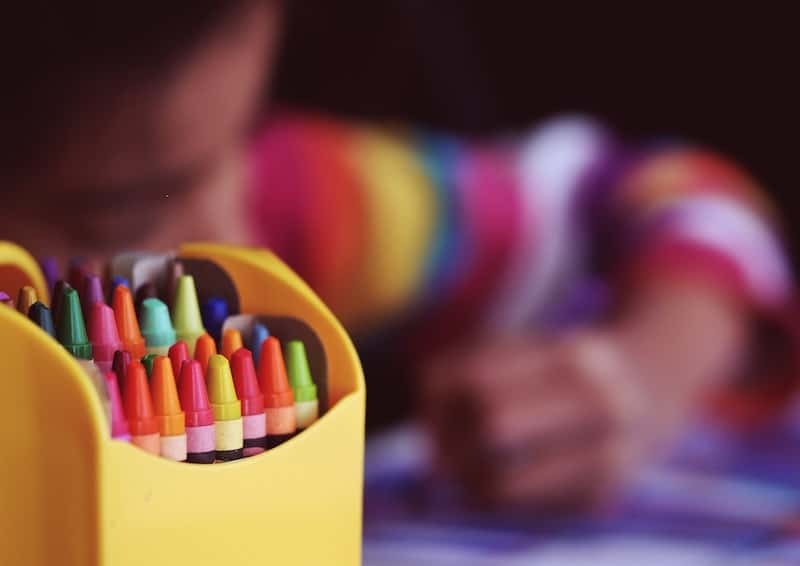 While young children benefit from routines, beginning in elementary school we can help establish organization strategies and learn basic goal setting. Here are just a few ideas to try, but success will not happen overnight, it takes practice and consistency. Help your child make a plan for saving for a coveted new toy (any item) through small jobs around the house, allowance, etc. Have a large desk-sized calendar in a central location. Spend a few minutes daily and a few more in a weekly session to organize commitments and plan short-term. Older children need help keeping the vast amount of school books, papers, etc. neat and orderly, purging when needed. Have older children help plan a week’s menu, complete with grocery list, looking for coupons, etc. What have you thought about sense? Who has been affected by your actions (or lack thereof)? What can you do to make it right? I have had so much more success with these questions and I rarely have to write an office referral. They are not a miracle pill, but these questions do open up important conversations. Better still, they teach our kids how to thinking about their actions and how they own up to and correct mistakes. This will be invaluable to them as they grown into adults. After all, we do want our kids to be able to handle difficult situations, especially when their actions are the cause, right?! Talk with your kids about appropriate ways to use technology and how to stay safe online! You can find a wealth of information on Digital Citizenship online or through your child’s teacher. LIMIT daily screen time in general. Kids involved with their families and activities will have less time for phones and tablets anyway. For high school and junior high, don’t text them when they are in class! Honor class time. Take away technology when it is misused (be firm and don’t give in). Model! Don’t have your phone or other electronic devices at the dinner table, or while your child is trying to tell you about his/her day. BE PRESENT in the moment and show your child how to do the same. This is the foundation of good relationship building. What is the worst thing that would happen if your child didn’t have their technology and/or extracurricular activities to keep them busy? They might just become bored. Boredom is good for kids – I promise! Most of the greatest inventions of our time exist because of boredom (think iPhones). Limit those activities! I did not say none– just limit the time on devices. Kids do not need an after-school activity or club every single day of the week. If they want to “see which one the like better”, have them research the activities, watch videos, etc. to get a feel for things before you spend your hard earned money or add more to your already overbooked schedule. Kids need to be able to take care of school work, rest, relax, and just be bored. Bored kids become more motivated, more creative, more interesting and have better mental health. So, the next time your sweet one starts complaining about being bored…do nothing, say nothing. Pour yourself another cup of coffee, kick your feet up, and just take time for yourself. Ask your child what is something they want to do, even if it may be hard. Let them difficult things and don’t rush in to save them from struggling. Encourage them to think of ways to “solve” their problem. Don’t let your child quit. Insist he/she finish what they start (especially if it is hard!). Talk frequently about people (famous or not) who overcame great challenges. Try acting as a consultant to your child as they navigate life, let them try, fail, and encourage them to try again and again. Work hard not to swoop in and remove all challenges, obstacles, and difficulties. I can assure you that on any given day, my sweet little family and I are prone to those same, less-than-perfect, scenarios. An ugly truth I’d prefer not be publically known I can assure you. As a teacher, however, I see so students, parents, and entire families in the clutches of despair. I too have felt moments of despair and wondering if I am doing this “parenting thing” right. Some days I’ve got it nailed down. Other days, I’m in tears at the end and saying to myself those famous words spoken by Vivien Leigh in Gone With The Wind, “As God as my witness, as God as my witness they’re not going to lick me…”. By “they”, I mean fear, negativity, and pressure of being a good mom (and teacher), raising good kids who have everything they need (and want), and grow up to be happy, successful, and wealthy. In all honesty, as long I do my best to keep them well-fed, clothed, educated, and most of all loved unconditionally, I have done my job and I am a good mom. By the way, you are too!